10Gbps-TB1>TB3 3rd,2C,U 11-inch Apple 2012 11-inch Macbook Air none Win10 Nvidia GTX 1080Ti AKiTiO Node '17-06-23 Fred. Q: What do the 'Sys eGPU port' acronyms mean? 16Gbps-TB3 A downgraded 16Gbps TB3 link (approx 64% of 32Gbps-TB3) due to a 2-lane TB3 controller being wired and/or a “U” CPU system running a OPI 2GT/s . TB2>TB3 or TB1>TB3 A TB2/TB1 system with a TB3 eGPU enclosure attached using a uniquely bidirectional US$49 Apple TB3 to TB2 adapter. Note: some Macbooks such as non retina GT650M/GT750M MBPs cannot detect the eGPU within Windows. There proceed on an experimental per case basis. TB2 enclosure attached to a TB3 system via a TB3 to TB2 adapter by Apple (best), StarTech, Cable Matters, etc. A direct PCIe link eGPU using a mPCIe/WLAN, expresscard or M.2 (WLAN or storage) port. 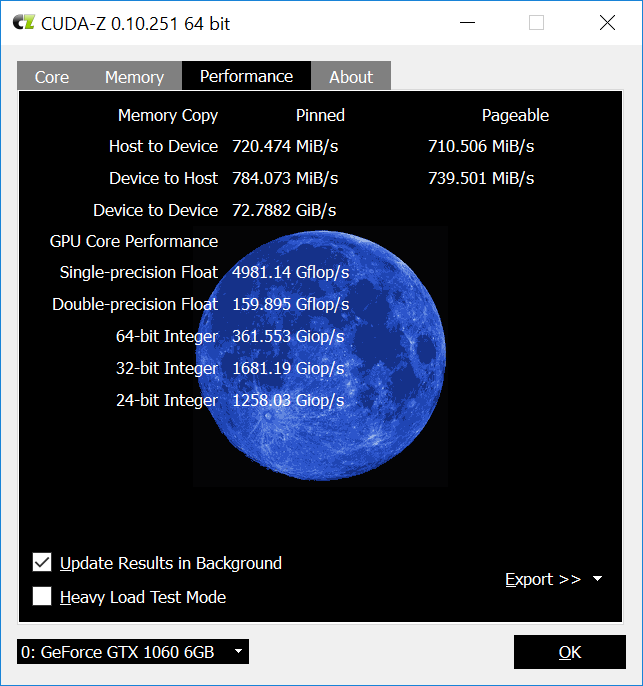 Q: How does a eGPU perform compared to a desktop GPU? Q: What is the measured bandwidth of the various 'Sys eGPU ports'? Below is various eGPU port’s measured host-to-device (H2D) bandwidth. 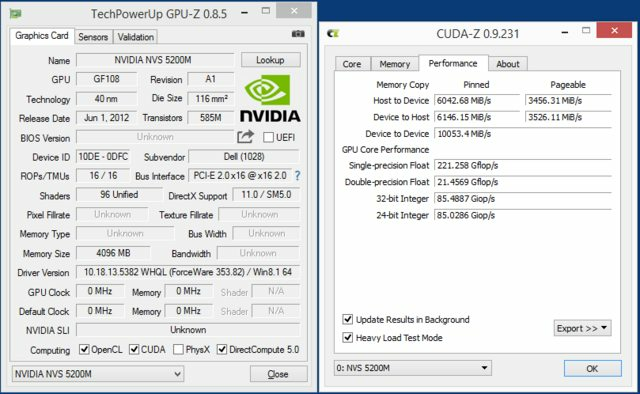 Right: example of where to find this info in AIDA64 or CUDA-Z for a 32Gbps-TB3 eGPU port. 32Gbps-TB3: to achieve ~2254MiB/s H2D (Nvidia) or ~2550MB/s (AMD) requires the correct TB3 enclosure firmware, a 40Gbps TB3 cable , NO additional active TB3 enclosure ports and a x4 3.0 host PCIe port (not x4 2.0). U-CPU systems must be in OPI 4GT/s. Macbooks with Nvidia eGPUs must not boot using apple_set_os.efi. FYI: Intel throttles 32Gbps-TB3 to 22Gbps which benchmarks as 20.40Gbps (AMD) or 18.91Gbps (Nvidia) in the important H2D direction.